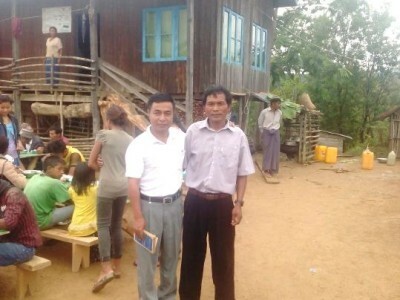 Early in May, Pastor Timothy, President of the Advent Christian Conference of Myanmar, returned to his home State – the Chin State – to attend the marriage of his youngest brother and to take up an invitation from a small village of only 20 families to preach the Word of God. He also took time to travel to the village in the mountains, to the home of Pastor Paul Tceu, who we recently heard had been unwell for over a year. “Greetings to you in the name of our Lord Jesus Christ. I returned to Yangon today. My youngest brother’s wife is a Godly lady. We are proud of her. 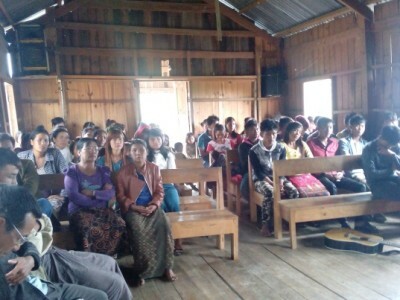 I had preaching services at the small village of Arcerh for one day and two nights. I preached resurrection of the Lord and resurrection of the dead. God opened some leaders hearts and [they] accepted the resurrection of the dead when Jesus 2nd coming. 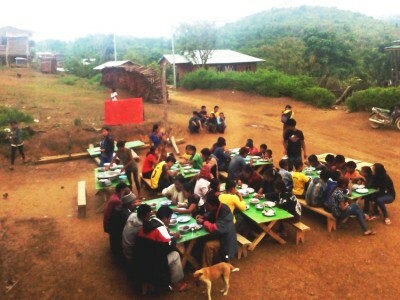 We had eating fellowship with all villagers. 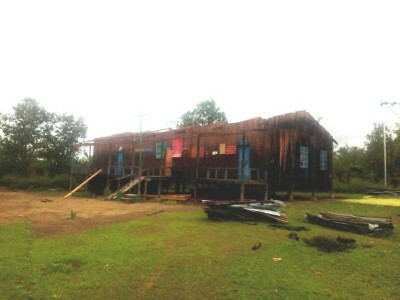 Unfortunately the storm destroyed their primary school one week ago (no roof till today) but now is school admission day. Please pray for them. I visited to Paul Tceu place and his health is better now. Please thank the Lord for His answers to our prayers for Pastor Paul Tceu’s health and for the working of the Holy Spirit in the hearts of some of those pastors to whom Timothy preached in Arcerh.